Faberge was a Russian jeweller and we mostly know him for his jeweled eggs, amazing pieces of art. 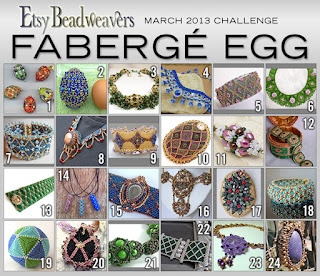 The Etsy Beadweavers Team has chosen these eggs as inspiration for the March 2013 challenge! You have time until the 16th to vote for your favorite creation!